Items of interest happening in the division and NMRA. Click on an item of interest for additional details. The next election will occur in April 2019 for the offices of Assistant Superintendent and Paymaster. Contact the Chief Clerk if you are interested in running for one of these positions. CLICK HERE to view the winning entries as well as photos of all of this month's contest entries. If you have items of interest, photos or other information you wish to share please post them to Jeremy. New Members - Welcome to the FVD! 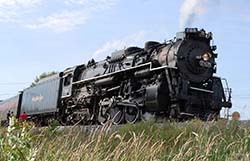 Walt Herrick, Midwest Region Photographer and member of the FVD, authored an article about Mike Ritchdorff's N&W Pocahontas Division RR in the January FVD Semaphore. That article was picked up by the Division Business Car column of the April 2018 NMRA Magazine. NMRA members CLICK HERE to link to the NMRA Members section to read the article. 2017 & 2018 High Wheeler Train Shows are suspended. The High Wheeler Train Show is suspended indefinitely due to facility issues. We hope to run the show at a future date yet to be determined. Here is a list his awards won at the National Convention. 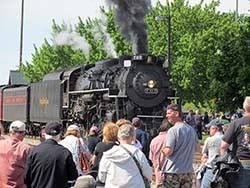 The Ft. Wayne RR Historical Society Steam Excursion Ran on Sunday June 12th. 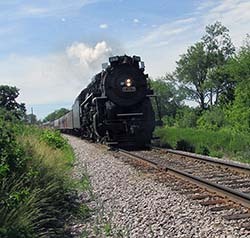 Click Here for more info on NKP 765. High Wheeler's 7 Award Categories for Displays of Distinction. Click Here for all past FVD clinic presentations or notes if they are available. Bring a friend to a membership meeting and they will have a chance to win a half price 9 month NMRA Rail Pass membership. One Rail Pass membership will be offered to a randomly chosen non-member guest at each meeting. This offer will run until further notice. 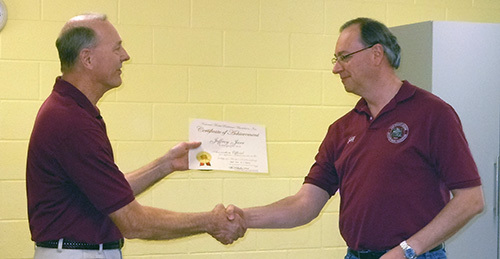 No recent Achievement Awards Presented. 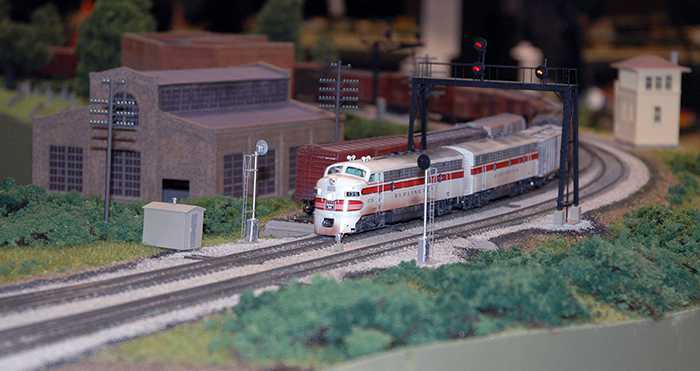 The NS & W Modular Group is a 100% NMRA Club. 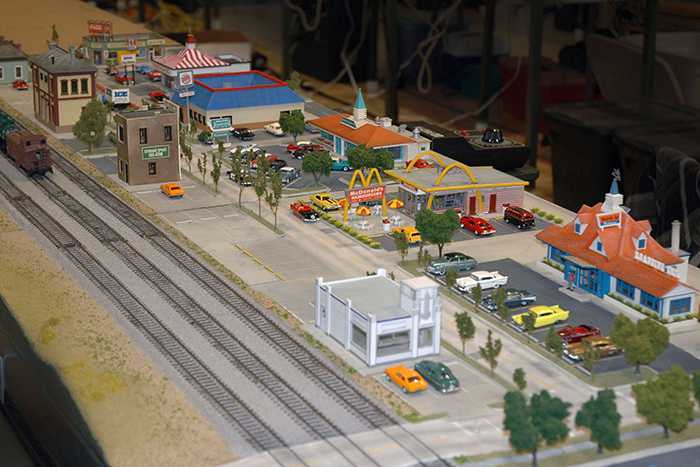 The club's modular layout is HO scale and consists of two main lines, and a branch line. All three lines are electrically isolated from each other. We run DC on the outer main line, and DCC on the rest of the layout. We also have a large staging yard with a turn table that the crew uses to setup or remove trains. Our typical modular setup consists of 28 modules occupying an area about 45 feet long by 21 feet wide. Click Here to see photos, learn more about the club and how to join. 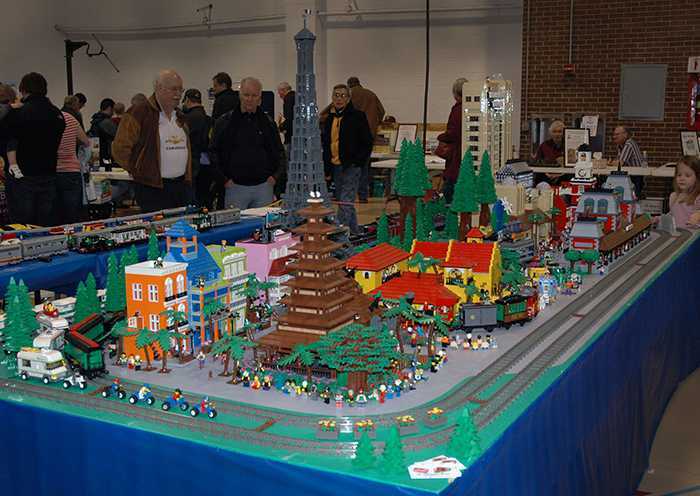 The Fox Valley Division and the Midwest Region have budgeted funds for "Make-and-Take" model building programs. If you know of, or are involved with, an organized group of youngsters in the age range of about 7 through 16, who are located in McHenry, Cook, Lake, and or Kane counties in northeastern Illinois give this activity consideration. We'll send some experienced modelers, as well as tools and a carton of easy-to-build kits to your meeting. The program takes about an hour or so of hands-on creative activity. 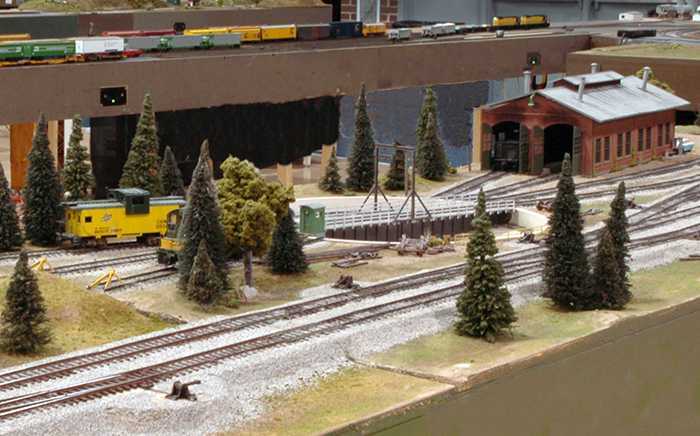 We'll provide a short introduction to model trains and then take your group through the steps of making their own model train cars to take home. 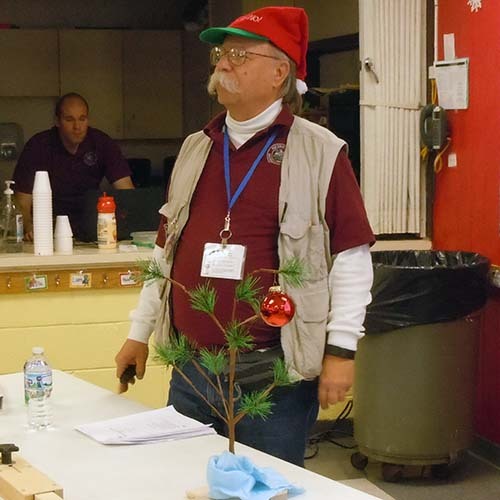 The Fox Valley Division donates the models and brings tools to make the event a success. We have found that children thoroughly enjoy this easy introduction to model railroading. "Where can I get more?" is the most frequently asked question. We can support one or two of these programs a year depending on the group size. Contact us if you are interested. The Golden Spike Award is the easiest and generally the first award of the Achievement Program - and applying for is easy. All you need is to have a small area (size is dependent on scale) of your model RR judged by our AP Chairman meeting simple criteria of scenery, structures, track-work, rolling stock and motive power. Click here to go to the NMRA web-page featuring the Golden Spike Award discussion.